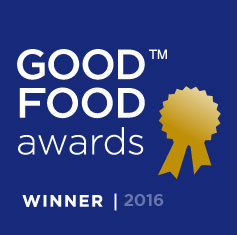 We Won The Good Food Award! 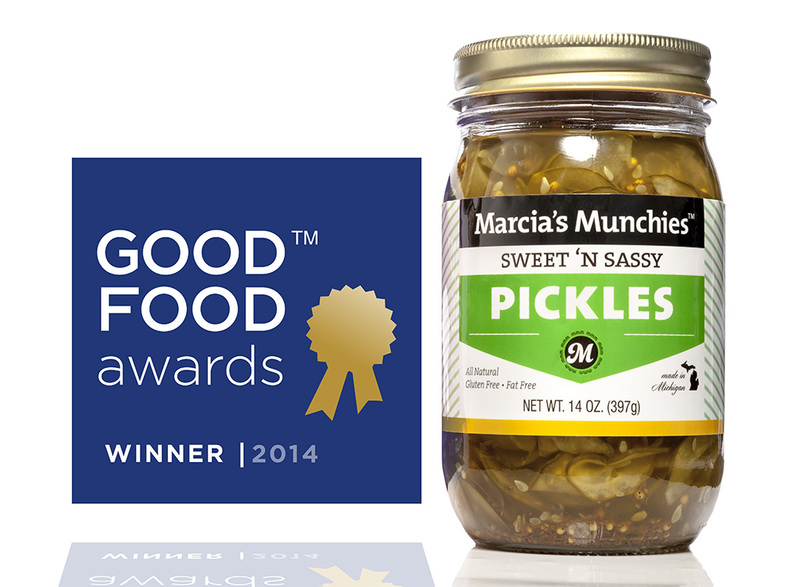 We are so please to announce the Marcia’s Munchies Sweet ‘N Sassy pickles have been selected as winners of the national Good Food Awards in the Pickles category. Our team is traveling from Detroit to San Francisco to receive the award at a ceremony hosted by Alice Waters and Nell Newman tomorrow evening at the Palace of Fine Arts. We are so excited, thrilled and honored to receive this award and to be a part of the national Good Food community. If you’re in the bay area, come see us at the Good Food Award Marketplace on Saturday, January 18 from 8am-2pm. We’ll be giving out samples of the award-winning Sweet ‘N Sassy pickles. We cannot wait! Marcia’s Munchies™, creator of handmade all natural gourmet snack foods, wins 2014 Good Food Awards. 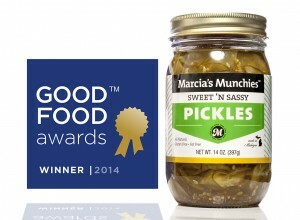 Marcia’s Munchies Sweet ‘N Sassy pickles were selected as winners in the Pickles category of the 2014 Good Food Awards. The awards ceremony, hosted by Alice Waters and Nell Newman, will take place on Thursday, January 16 at the Palace of Fine Arts in San Francisco. The Good Foods Awards will feature winning purveyors of chocolate, cheese, beer, pickles and jams from across the United States. Marcia’s Munchies pickle products, as well as her Caramel Nut Crunch popcorn, can be found at select metro Detroit-area Papa Joe’s, Peter’s Palate Pleaser, Market Square and Hiller’s markets. The award-winning pickles can also be purchased online. The Good Food Awards is a nonprofit project of Seedling Projects and is sponsored by Williams-Sonoma, Whole Foods and other leaders of America’s food movement. Seedling Projects works with a broad community of leading food artisans, writers and chefs to develop all elements of the Good Food Awards. Visit www.goodfoodawards.org for more information. Marcia’s Munchies is a purveyor of all natural gourmet snack foods. Products include a variety of pickles, popcorn, fancy nut mixes and jams. The ingredients for Marcia’s Munchies are chosen in conjunction with Michigan State University’s Culinary Service and Community Partners Program, which insures that farmers provide fresh, local and all-natural produce. Each Marcia’s Munchies product is a high-quality, irresistible delight.